What Goes Inside the Green Cart? No plastic, glass, or metal should ever go in the green waste (organics cart – quality compost starts with yard trimmings and food scraps. 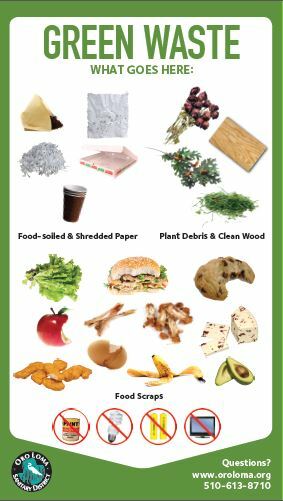 Food scraps and food-soiled paper are the largest single item in our waste stream — making up approximately 35% of what we throw away in Alameda County.